With some 6,000 miles in the Green Lane network there are opportunities for adventure in every county of England and Wales - providing you know where to look. For a little over £40 you can become a member of the Trail Riders Fellowship (TRF) and gain access to a host of regional clubs who have the knowledge and advice necessary to get the most from these historic trails. Wiltshire TRF is one such example. They organise two rides every week throughout the year, increasing to three or even four in the summer. Riding is by group, with each group capped at six riders - this keeps things fluid and manageable as well as helping to keep the peace with other green road users. All abilities are catered for, with those new to trail riding particularly welcome. Monthly meetings are well attended and offer much more than a chance to socialise. An effective committee keeps the business side of things brief, allowing plenty of time for guest speakers, equipment demonstrations and training seminars. There’s a terrific value to membership that goes far above the annual fee. "Our aim is to conserve Britain’s history of green, unpaved roads" says James Higgs, Wiltshire TRF’s Rights of Way Officer. "Motorcycles have been using these roads for over a hundred years and there is a real sense of heritage in what we do. Our location gives us access to a huge variety of terrain, from the muddy, novice friendly drove roads of Wiltshire via the trickier dirt and stone trails around Banes to some very challenging rocky climbs in Gloucestershire. Devon is brilliant; it’s absolutely riddled with lanes and on our organised weekends away you get them all to yourself. Wherever we ride we do so in a sustained, responsible and lawful manner, ensuring to express adequate courtesy to other users." 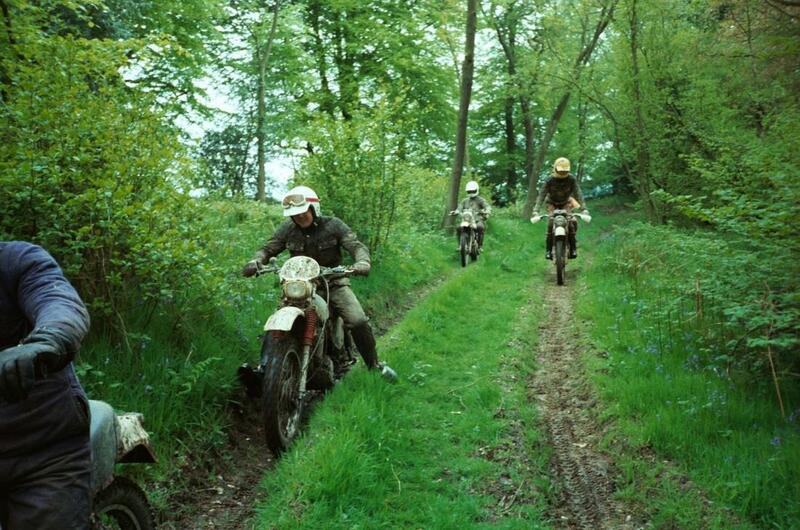 And as if exploring the countryside, preserving historic unpaved roads and enjoying regular social nights wasn’t enough, there’s also the annual ‘Wessex Wanderer’ – a weekend of guided trail riding that has raised thousands for good causes since its inception in 2008. Last year £1,650 was donated to Tommy’s Midwives and a similar amount will be targeted this year for the Prostate Cancer Research Centre. Don't forget, this is a great way to rack up some miles for our #ride5000miles campaign.